Puerto Vallarta Tours Ocean Friendly Avistamiento de Ballenas – Ocean Friendly Tours es una compañia dedicada al avistamiento de ballenas responsable en Puerto Vallarta, Mexico. 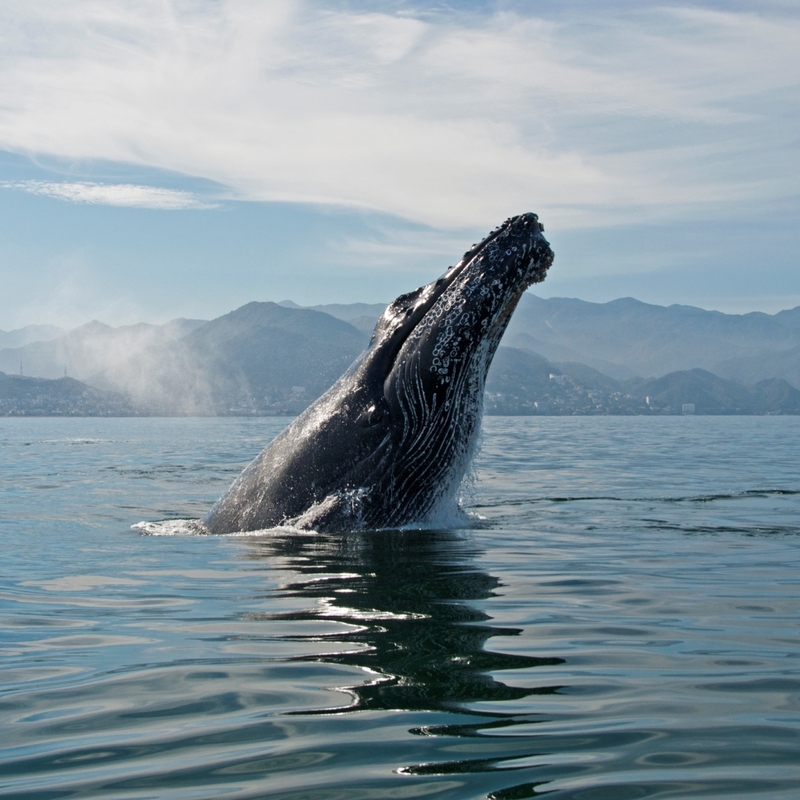 Oceanfriendly Tours offers daily and customized tours to discover the realm of whales, dolphins and other species on the enormous bay of Puerto Vallarta, México. All tours are led by a bilingual marine scientist, naturalists and a specialized safety trained crew. All of our tours are led within complete compliance to the official Mexican whale watching regulations and with the safety of our guests and the whales being our two most important thoughts at all times. We use specialized anatomic and self inflatable life vests to guaranty comfort and safety on board for all our guests. As an environmentally friendly company, Ocean Friendly Tours provides beverages and food to our guests in non disposable and bpa free containers in order to avoid the production of disposable waste and guaranty to minimize our impact on the environment. Ocean Friendly Tours was privileged to be designated and recognized as one of TripAdvisor’s Top 10 Great Wildlife Tours in the World and the #1 Whale Watching Tour in The World and inducted into Trip Advisor’s Hall of Fame for Excellence since 2015! Whale watching at its best. Join us in a research and documentation experience. 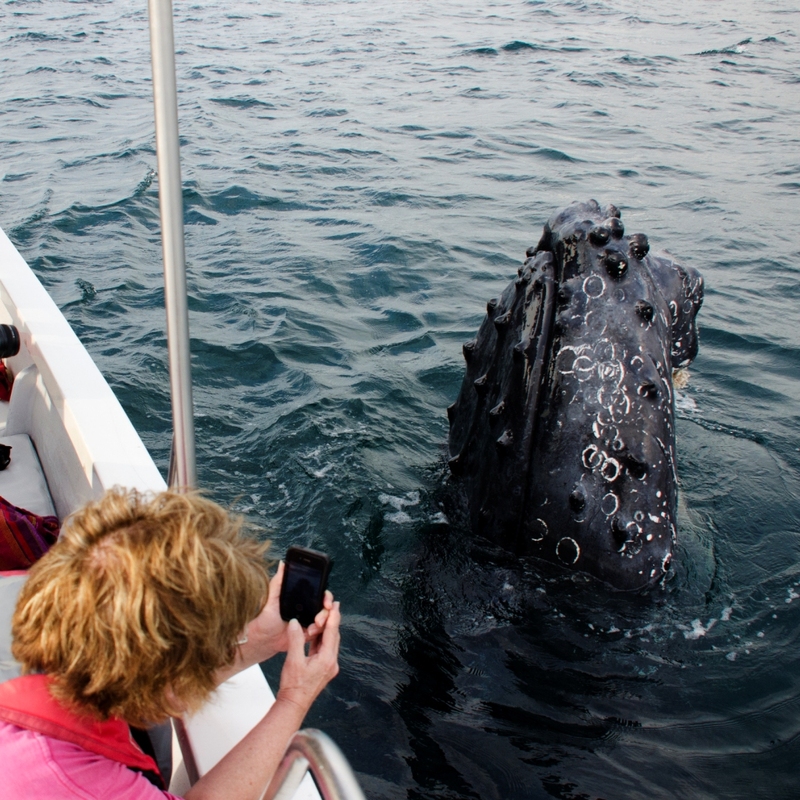 One of our most popular tours – providing a deep understanding of the Whales´ activities in Banderas Bay. A superb opportunity for nature lovers and photographers for an overview of Banderas Bay. We attribute the recognition of our work and the number of our guests that return annually to share our love of and commitment to the environment surrounding us. We are constantly pushing ourselves and demanding the very best in our operations in an attempt to immerse our guests in a truly educational environment. We strive to ensure them an outstanding customer service experience throughout each individual tour. The staff of Ocean Friendly Tours are extremely invested on our attention to our guest’s safety, comfort and enjoyment of their experiences with Nature presenting itself differently each day. From the time you make first contact with us until the time we are back on shore, our goal is to give you the most incredible customer service experience offered in Puerto Vallarta. We strive to help you leave the daily grind and work doubly hard to provide you with the very best possible sightings that nature has to offer! We invite you to join us with respectful and responsible natural encounters with the Humpback whales, dolphins and other pelagic marine species that visit Banderas Bay throughout the year. We accomplish this by limiting ourselves to small groups of 10-13 guests on unique tours led by a marine scientist, naturalists and specialized bilingual crew members. 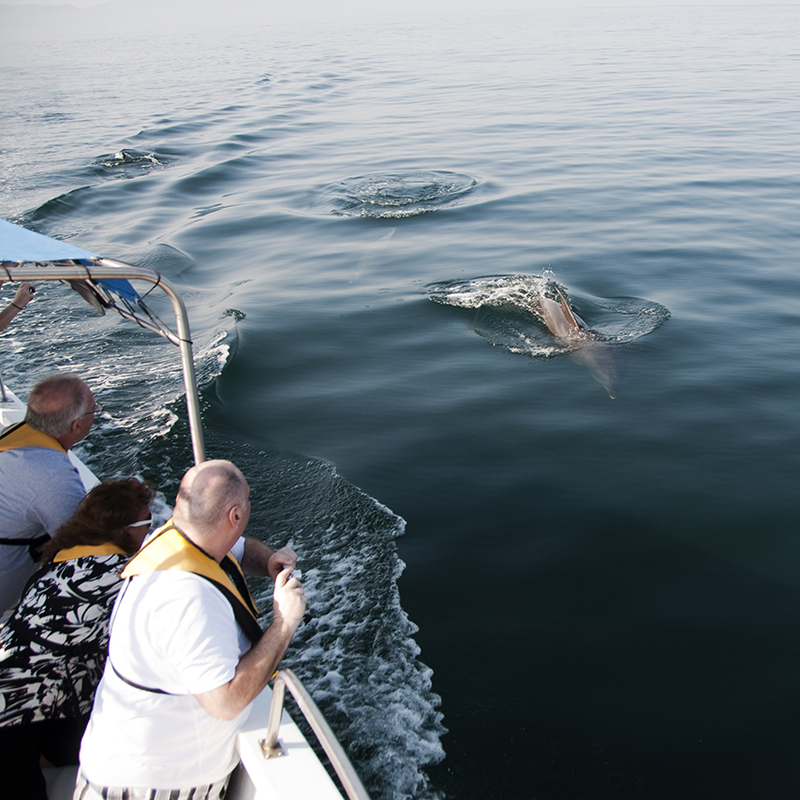 Ocean Friendly Tours offers different types of tours that operate during the whale watching season, from December 8th – March 23rd annually and the information is provided on this page for you. Tours before December 8th and after March 23rd are not to be considered whale watching tours. During the spring and fall there are other tours that allow you to experience the beauty of this remarkable bay year round, such as our Banderas Bay Ocean Safari. Descriptions of all of our tours and booking instructions are detailed along side each tour on this page. Customized charters are available throughout the year subject to availability. By booking with Ocean Friendly Tours your participation contributes to important research projects related to the protection and survival of the Humpback whale, The Fluke Identification Program and the Kite Aerial Photography Research Project. We thank you in advance for your support of this important line of research and conservation.